See how other organizations are using ClearThunder to increase participation, manage events, and build relationships. The AACD is dedicated to advancing excellence in the art and science of cosmetic dentistry. Consisting of 6,000 dental professionals, laboratory technicians, educators, and researchers from 70 countries worldwide, the AACD strives on offering superior educational opportunities for its members and fellows. The AACD relies on ClearThunder for registration of their conferences, seminars, and other corporate events. The Iowa Sports Foundation is known for its Summer Iowa Games and Winter Iowa Games annual sports festivals. Sports include basketball, dodge ball, diving, figure skating, archery, skiing, golf, and much more. For both its Summer and Winter Games, the Iowa Sports Foundation relies heavily on ClearThunder’s category/sub-event feature to manage all of the different types of sporting events under one main event. The Nebraska Sports Council is a non-profit organization with a mission of providing quality competition for amateur athletes of all ages and abilities while promoting health and active lifestyle choices. The Council chose ClearThunder as its registration system for the Cornhusker State Games, the Lincoln Benefit Life Dart Tournament, and 5k & 10k Runs. The World Class Tae Kwon Do Tae Park Institute is an institute dedicated to teaching Tae Kwon Do and leadership skills to beginning students. The Institute has schools located in 15 different states, consisting of over 2,000 black belts with over 50 Master, 8 Senior Master, and 4 Junior Grand Master Instructors. The Institute often uses ClearThunder for tournament registration. Capitol Skating School provides year-round ice-skating programs for area recreational skaters, competitive figure skaters and hockey players in Madison, WI. The certified skating teachers at Capitol Skating School promote individual self-confidence and encourage participation and achievement in all facets of ice-skating. The skating school counts on ClearThunder for all types of skating events, from Freestyle Ice Time to Learn to Skate classes. The State Games of Mississippi is a privately-sponsored, non-profit organization that promotes amateur athletics and healthy lifestyles for Mississippians of all ages and abilities. The State Games strives to instill pride in personal achievement, physical fitness, and teamwork. The organization uses ClearThunder for its State Games events, which include over 5,000 athletes in 28 sporting events. The Transplant Games of America is a multi-sport festival event for individuals who have undergone life-saving transplant surgeries. 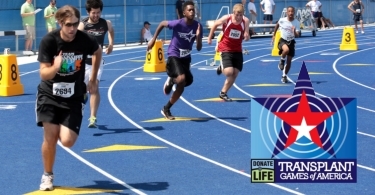 More than an athletic event, the Transplant Games of America highlight the critical importance of organ, eye, and tissue donation, while celebrating the lives of organ donors and recipients. The Transplant Games of America chose ClearThunder as its registration system for their annual games including 18 sporting events, ceremonies, banquets, and volunteer opportunities. 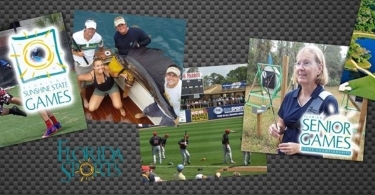 The Florida Sports Foundation is a non-profit corporation assisting Florida's communities with hosting and retaining sporting events and related business that generate significant economic impact and tourism throughout the state. Part of their mission is to provide the citizens of Florida with participation opportunities and promote amateur sport development. The foundation uses ClearThunder for its multi-sport events such as the Florida's Sunshine State Games and the Florida Senior Games events. WSMA is a non-profit association providing music program leadership, support, and activities to schools across the state. The association, serving more than 1,000 schools annually, focuses on providing schools with the curriculum and resources to educate students and encourage lifelong involvement in music. WSMA trusts ClearThunder for registrations for music ensembles, workshops, and conferences. The West Michigan Sports Commission has a mission to promote Michigan’s West Coast as the premier venue for hosting a diverse level of youth and amateur sporting events. The Commission offers a variety of services such as volunteer recruitment, promotional materials, and destination services to assist with sports event planning. The Sports Commission uses ClearThunder for its multi-sport events such as the Meijer State Games and the Transplant Games of America.